My Mom's Best: Clay workshop last month! 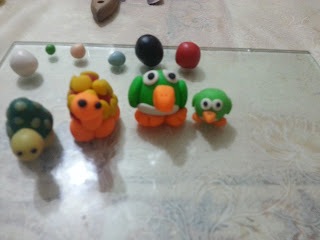 I am so happy that last month I have fun with my son, we have gone for clay workshop together. Can you guess which of the animal he made during the workshop? These are the polymer clay, after finished making need to put them in oven to bake! He can chooses two animal to make for the two hours workshop. I purchased the vouchers online and went to the workshop with him. 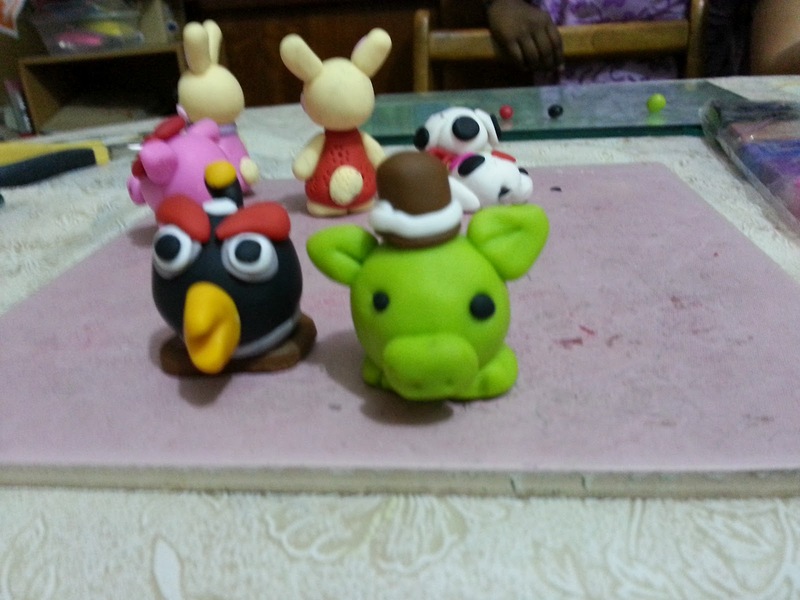 He's fan of Angry Bird and he's choose to make the green pig with hat and black angry bird. It is a fun workshop, saw many moms having fun to make the animal with their kids. This workshop not only for kids but for adults too, there are classes for adults! Can you guess what I made for in the workshop?